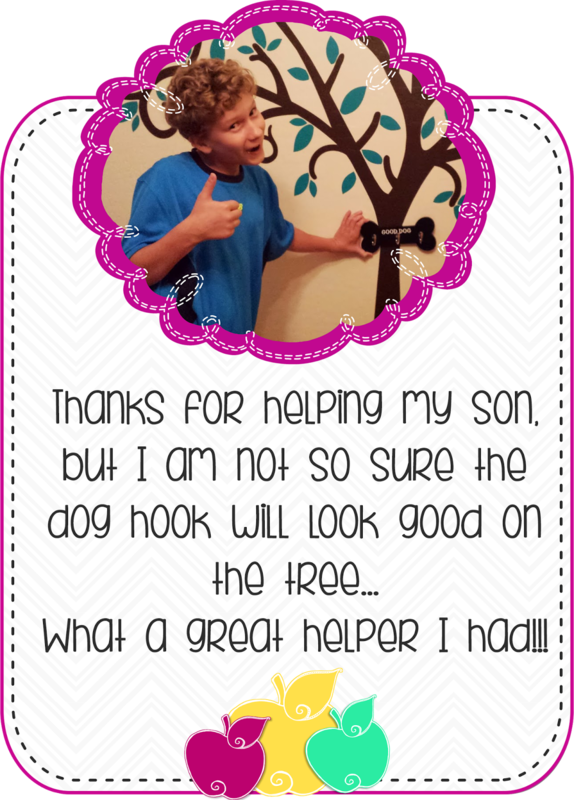 The 3am Teacher: A Wise Decor Story & Giveaway!! 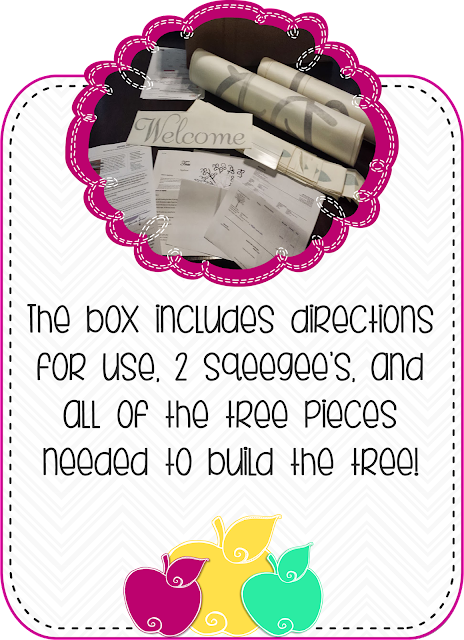 A Wise Decor Story & Giveaway!! 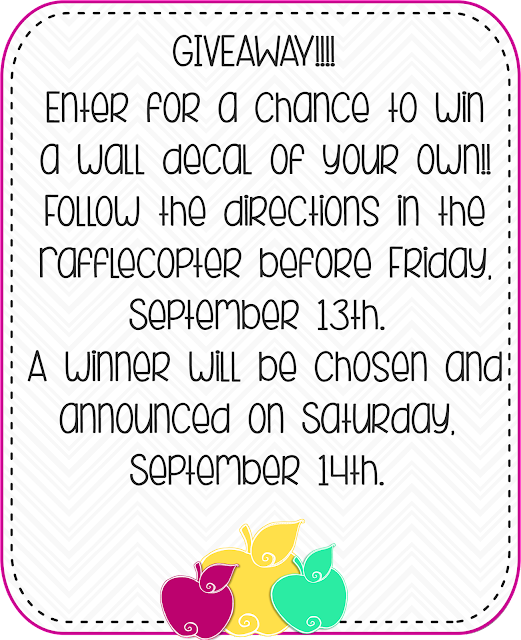 Get ready to have some fun, because I have a fun giveaway for all of you!!! I was recently contacted by Micheal from Wise Decor and asked if I would like to sample one of the Classroom Wall Decals. I was a little hesitant, but after looking at the site, I was more than happy to sample one of their goodies!! I set out to find a simple quote; however, that is easier said than done!! Their site is HUGE and they have so many great things to choose from. Their site also allows you to pick a custom quote of your own, so I was intrigued. I found the site to be very easy to work through, but some of their custom links were not yet active. With so many choices, I pulled back a little bit and decided to browse other areas of their site and found that they also carried amazing other WALL DECOR accents!!! It did not bother me that the trees were categorized in their nursery items, because I can always visualize the potential.. I chose my favorite tree, the colors, and size and eagerly waited for the tree to arrive. If you order something large, you will definitely want to have some extra help before you being putting up the pieces yourself. I was pleased that all of the pieces were numbered and there was an extra squeegee in the box, which allowed two of us to smooth out the bubbles at the same time. 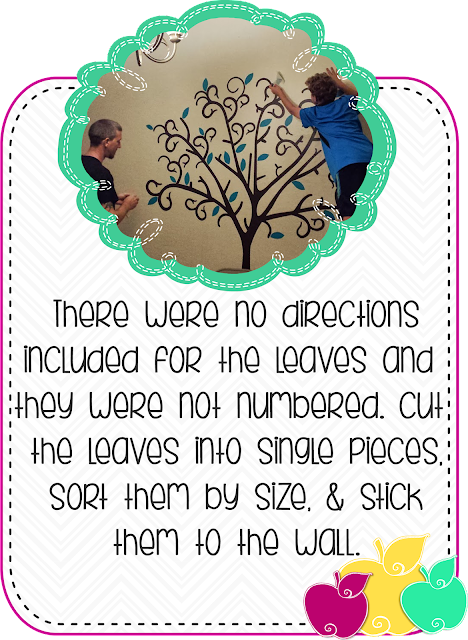 Using the placement preview, provided with the directions, we began adding the pieces up to the wall. 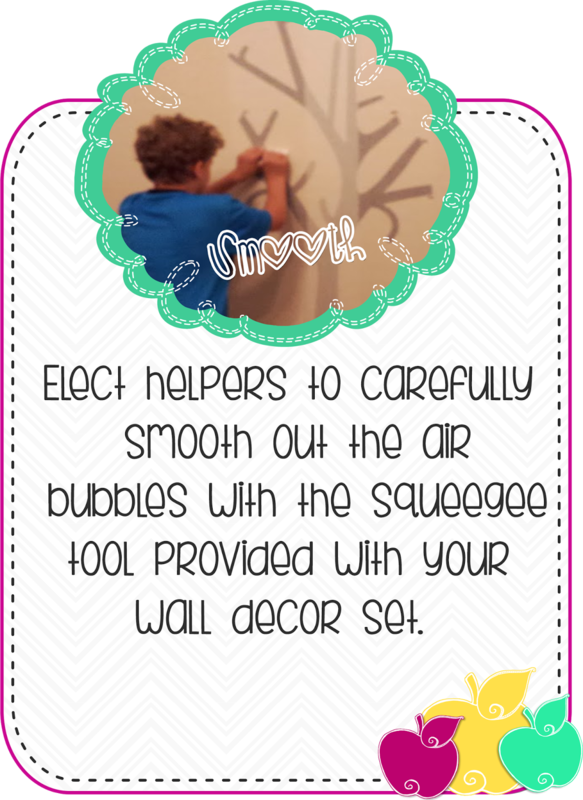 Once the pieces are secured to the wall, let your little helpers loose to smooth out the bubbles. We did have a couple of larger kinks in the tree from when the items were shipped, but I made sure to pull the paper up and straighten out those little spots with my fingers before letting my son smooth out the bubbles. 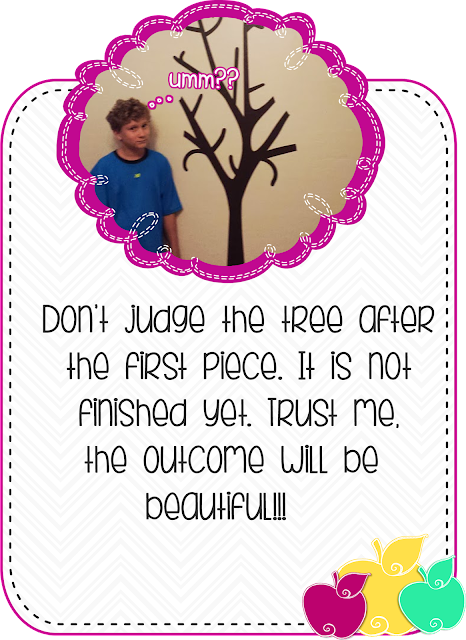 My son had his doubts about the tree after pulling away the paper from the first piece... hahaha.. I assured him that the tree design would all come together once we had all of the pieces up. 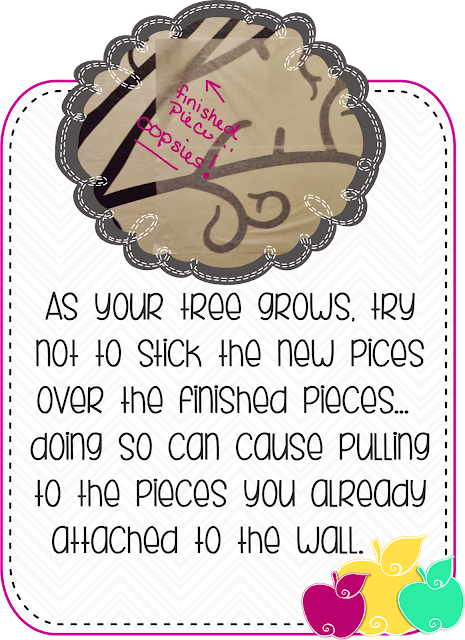 When you begin adding the leaves to a tree design, I suggest that you begin adding the largest pieces first. My son REALLY wanted to add the little pieces, but I insisted that he use the larger pieces first and work his way to the smaller ones. We did not follow any directions when adding the leaves to the tree. Luckily I have some creative boys. We did a great job working together! Once we were finished, the tree looked amazing and my son decided to make some crafts out of the paper pile that we had accumulated- nothing goes wasted in a house with creative minds!! hahaha I wish I had a better picture to show you, but my camera just wasn't allowing me to get the right angle of the tree. Now for the fun part of the post for all of you!! I also have a little FREEBIE for you all to grab!! While working on this post, I created some cute apple frames and I have them up on TpT for free for you to grab. 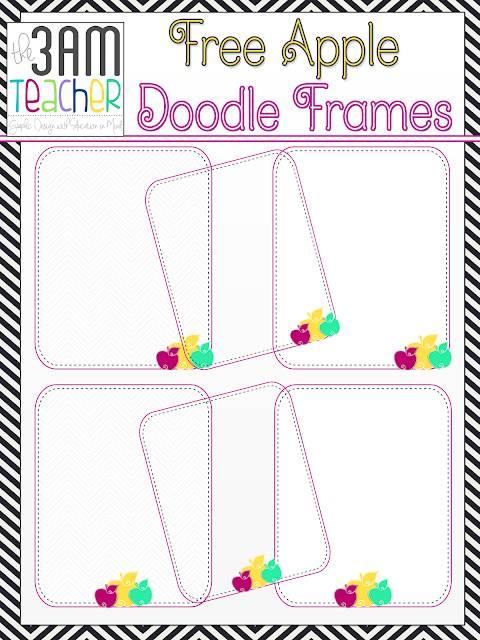 You can find the DOODLE APPLES as well as the Sweet Doodle Stackers (the cute frames around the pictures above) in my TpT shop to purchase. 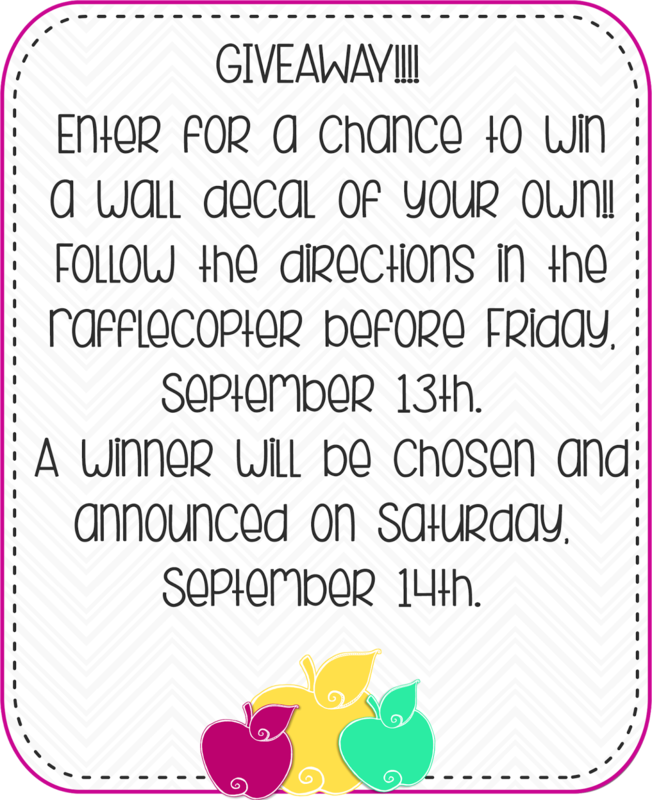 Grab your freebie below the Rafflecopter!! Thank you for stopping by and Good Luck!!! Click the image below to grab the freebie!! 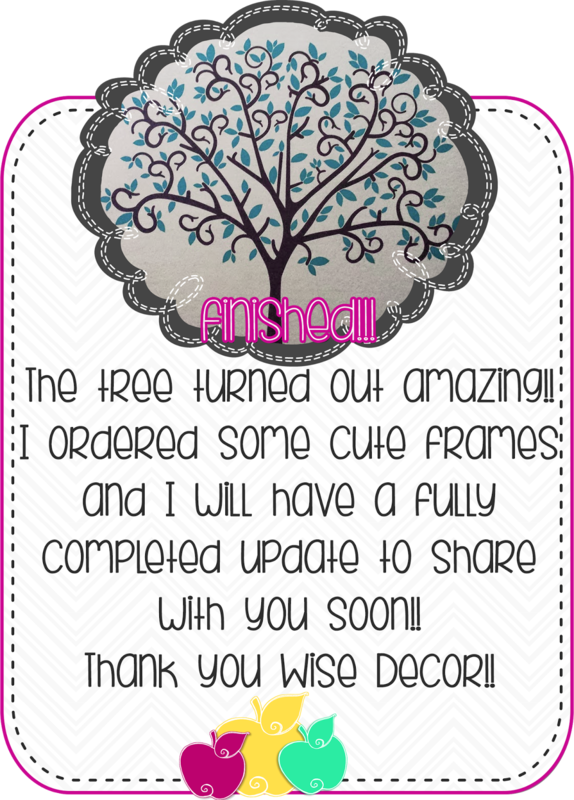 Feel free to pin the FREE frames below to share with your friends!! This is such a busy time of year that I am always thankful when someone pins a freebie I would have missed. Thank you so much for the support and I appreciate the feedback!! Your new frames and apples are super cute...thank you! Thanks for the chance for a wall decor too. Wondering if I could put it together and achieve such an artistic finish as you did...hmmm probably not. Thank you so much!! The Wise Decor tree was actually made in such a way that it would have been pretty difficult to mess up. My son did most of the leaves and they turned out great. The tree is beautiful! I love your idea of turning it into a "family tree" of sorts. I've always wanted to do a project like this! 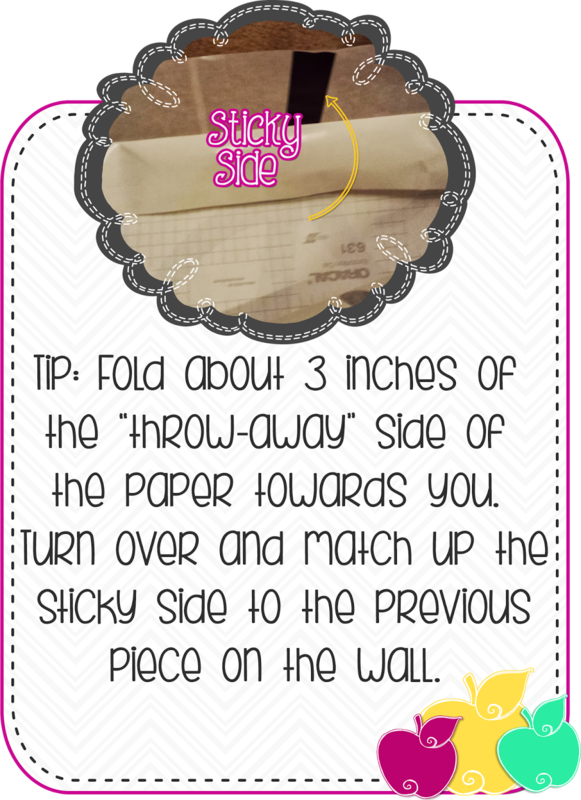 Not sure it would stick on my cinder block walls so I may need to get creative! I would like the classroom word wall. 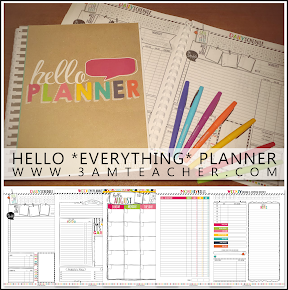 Neat stuff and great giveaway! Oh man! I totally missed an awesome giveaway. That looks so cool!